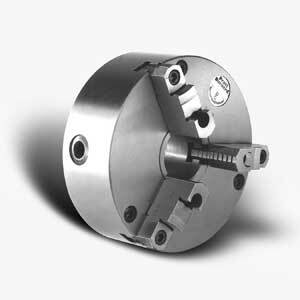 Self-Centering Type: 234 and 235 Series 5" thru 15"
• Sizes 5" thru 15"
Size Model No. Size Model No. Size Model No. 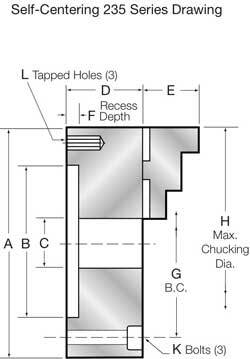 Larger diameter chucks available, contact QCS Workholding for price and delivery. Spindle 5" 6" 8" 10" 12" 15"
﻿Spindle 5" 6" 8" 10"